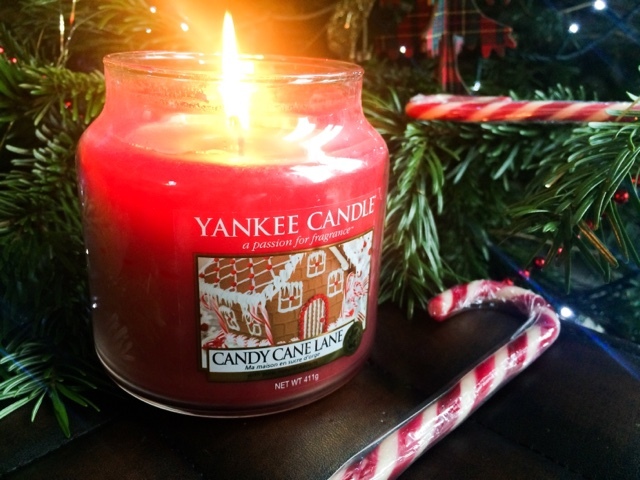 It's beginning to smell a lot like Christmas.... and that's all thanks to Yankee Candles 'Candy Cane Lane'. This to me is different from all the other festive candles that are around. If you're after a heavy spicy and sweet infusion then this isn't for you (try Christmas Memories or Gingerbread). This is fresh and minty with an almost frosty feel to it and is a nice change from all the spiced candles that I have. 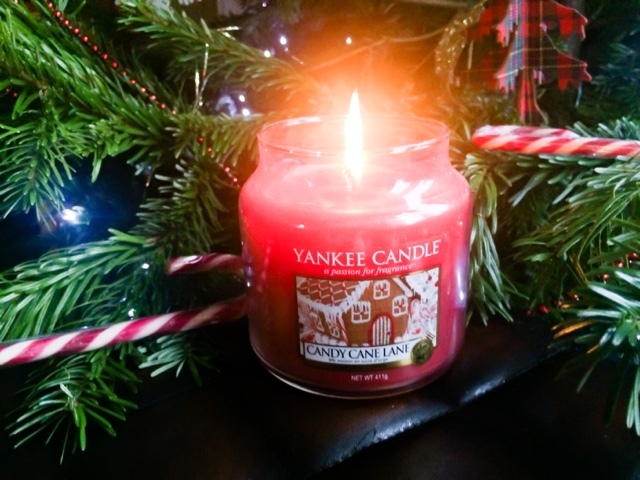 Candy Cane Lane is a great subtle fragrance that is not too overpowering and will be perfect in a room of any size, as the gentle scent adds freshness to your home without being heavy or sickly. The peppermint cleanses the room with its freshness, while the cookies and vanilla gently soften it to add a gentle sweetness which is comforting and homely. Think fresh winter mornings with icicles hanging from roof tops and you have this. If you're after this or maybe another Yankee Candle scent, they have some great offers in the run up to Christmas so make sure to check out their site! What is your favourite Christmas candle scent? This sounds soooo yummy! Must pick this up soon! this is a brilliant scent! very pepperminty. i bought lots of yankee candles for presents this year!